Amid a wave of deals, Silicon Valley observers still know close to nothing about Apple’s big-picture strategy. 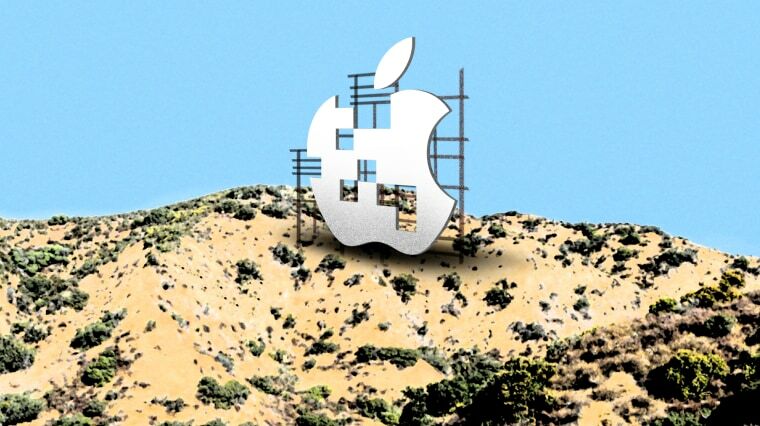 Apple is gearing up to conquer Hollywood — but its battle plans are under wraps. In recent months, the tech giant has inked deals to produce original content with a roster of A-list talent, including Oprah Winfrey, Reese Witherspoon, Jennifer Aniston, Steven Spielberg, “La La Land” director Damien Chazelle, “Sixth Sense” director M. Night Shyamalan, the creators of “Sesame Street,” the co-writers of “The Big Sick” and NBA superstar Kevin Durant. But amid the wave of deals, Silicon Valley observers still know close to nothing about Apple’s big-picture strategy for its stable of stars. The details — everything from where shows will be distributed to how much they will cost to watch — are scant. Apple's closely guarded secret is also its most watched. The company faces hard questions about its long-term growth amid slowing hardware sales and competition from rivals like Google and Amazon. A foray into original content, some analysts say, could be among the ventures that help push Apple to a $1 trillion valuation. Apple, for its part, declined to comment. The murkiness surrounding the company’s push into original programming — a venture that is reportedly budgeted at roughly $1 billion — has come under particular scrutiny in the entertainment industry and recently became the subject of a running joke on Twitter. They'll be etched upon the sky. Look. There on a night of heavy cloud cover. You might see Jennifer Aniston smile between the grey, unending folds, just before the rain comes. Another industry source who has helped finance TV shows said they were also in the dark about the iPhone maker’s blueprint — despite having a direct business relationship with the company. “What is the service? When is it going to be launched? How much will it cost? Is it exclusive or not exclusive? Is it an add-on to Apple Music or a new platform? Is it a competitor to Netflix? I don’t know anyone who has gotten a satisfying answer to any of those questions,” the industry source said. It remains unclear whether Apple will debut original content via Apple Music, its Spotify-style app, or through a Netflix-style standalone platform. Another possibility is a bundle of digital services that span TV shows and cloud storage, not unlike Amazon Prime. Matthew Ball, a digital media analyst and the former head of strategy at Amazon Studios, suggested he would put his money on the third option. Apple, he said, could package its TV shows with subscriptions to its iCloud data storage service or Texture, the magazine app the company acquired for an undisclosed sum in May. Apple is known as a secretive company, keeping its plans for game-changing devices, innovative software and wildly popular smartphones to itself for as long as possible. But such secrecy, said Dan Cryan, executive director of research at IHS Markit, a media analysis firm, is the company’s prerogative — perhaps even a canny way to keep the upper hand in negotiations with partners. In addition to teaming up with marquee actresses and directors, Apple has also recruited executives with industry clout — clear signs, according to Cryan, that Apple is serious about going toe-to-toe with prestigious production companies. The most notable hires: Jamie Erlicht and Zack Van Amburg, who will oversee content acquisition and video strategy. The industry veterans were poached from Sony Pictures Television, the studio behind dozens of hits, including “Breaking Bad,” one of TV's most critically acclaimed and financially profitable series. Apple has already started rolling out some original content via Apple Music, including “Planet of the Apps,” a reality show featuring Jessica Alba and hip-hop star will.i.am, and “Carpool Karaoke,” a sing-along show based on a recurring segment on CBS’ “The Late Late Show with James Corden.” But those two Apple shows have not exactly set American popular culture on fire. Apple is joining a crowded marketplace with competitors that are already spending billions of dollars, leaving it with no time to delay. A recent report from the media analyst Michael Nathanson suggested that American consumers would have room in their media diet for about four streaming apps. Netflix, YouTube, Hulu and Amazon Video are "solidly in place," Nathanson noted — potentially narrowing the window of opportunity for a new entrant, no matter how powerful. Another challenge for Apple is that it could take years to catch up with its far more prolific rivals. Netflix, for example, has spent roughly half a decade building up a stockpile of original shows and movies that now number in the hundreds and stretches across virtually all genres. It has also locked up licensing agreements with traditional players like Disney and Warner Bros., keeping its digital coffers lined with Pixar movies and “Friends” reruns. Apple, at least judging by recent headlines, does not seem to be scrambling to build out a library of nonoriginal programming. And no matter when Apple unveils its product, the streaming marketplace will be crowded, to say the least: Disney, the most powerful movie studio on the planet, plans to yank its movies from Netflix and start a streaming service of its own next year.